Norton Way Nissan have been a leading Nissan dealer in Hertfordshire since it's introduction into the Norton Way Group in 2012. 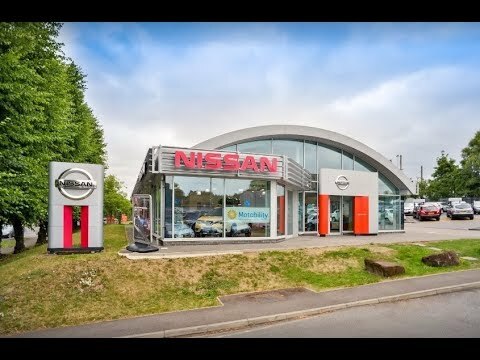 In a purpose built facility occupying 1035m2 of space, our dealership provides the full new road car and light commercial vehicle range with an extensive used vehicle stock, servicing, parts and motability too. Our teams of manufacturer trained Sales Executives, Service Advisors and technicians always thrive to provide the highest quality of care and customer experience possible. Norton Way Group, our parent company was formed in 1989 as a management buy out of a Honda dealership in Letchworth. Since then, Managing Director, David Grainger has grown the business to include two more Honda dealerships in London, Mazda, Peugeot and Europe's biggest Kia dealership in Brentford, GWR Kia. Despite such huge growth since 1989, the ethos behind Norton Way remains the same, with the focus on quality rather than volume, and ‘being the best’. Success has translated into Industry Awards; including Businessman of the year, and Employee of the year. We have also received Motor Trader awards including Franchised Dealer of the year for Chiswick Honda, Sales Team of the Year and Dealer Principal of the year.